This image was posted on Twitter by Shoaib Ibrahim. 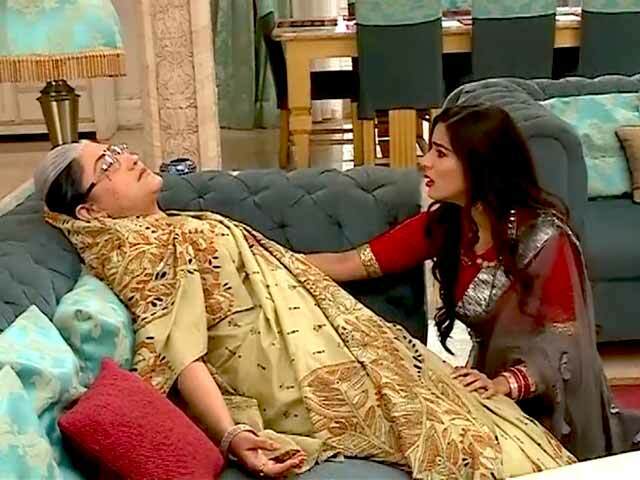 Simar is now ready for a real life sasural. 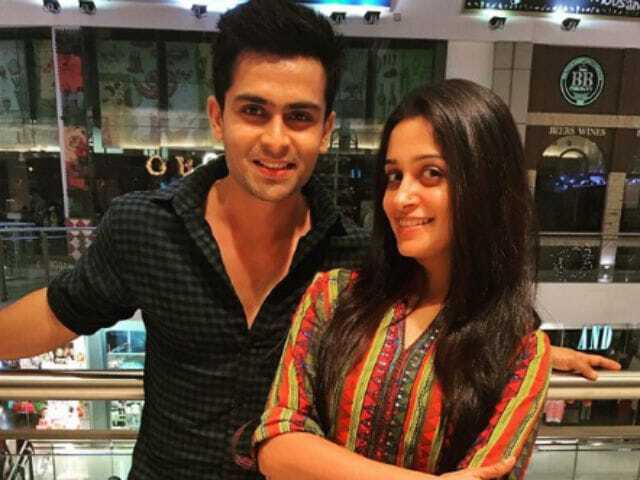 Actors Dipika Kakar and Shoaib Ibrahim have gone public with their romance and wedding bells are ringing faintly in the distance. Dipika, best-known for playing the lead character on TV soap Sasural Simar Ka where she was recently and unaccountably turned into a house fly, revealed details of how she and former co-star Shoaib fell in love to Bombay Times. Shoaib quit the show in 2013 and Dipika said that she fell for the actor after he left. "After he left, I distanced myself from everyone on the set for almost two years. I got anxiety attacks once when I couldn't reach him when he was on a 40-day outdoor schedule of his project," Dipika told Bombay Times. Shoaib explained how Dipika supported him when his father fell ill.
"My father suffered a brain haemorrhage. Being the only son, I had to be there for my mother and sister while my father was recuperating. Dipika supported us emotionally," Shoaib told Bombay Times. Dipika, who was married to pilot Raunak Mehta for three years, divorced him in January 2015. Reports in the press blamed Shoaib but Dipika says they only started dating later. "It's not mandatory that every love marriage should work; it can have its issues like compatibility too. Breaking off any relationship is difficult, almost traumatic. That's exactly what happened with me. My parents supported me and Shoaib helped me pull through those difficult times. We were not dating then," Dipika told Bombay Times. Dipika also spoke about her relationship with Shoaib's parents, how the actor's mother sends food for her, and how her status as a divorcee never bothered Shoaib or his family. "I wanted to be sure that this relationship wasn't on the rebound. Also, we were getting to know each other better. No matter how progressive we become, being a divorcee has some kind of a social stigma attached to it in our society. I had that stamp on me. But he gave me that space and despite being aware of my past, never complained about it. He has in fact always respected that. Coming from a small town, even his parents never let me feel that. I have always longed for family. Ammi sends dabba for me when my mother is not there. I feel I am more close to his mom than him. Everything is positive and we are more at peace now," Dipika told Bombay Times. "Also, a commitment bounds you for life if one talks about it," added Shoaib. For Dipika and Shoaib, a wedding is on the cards as their families want them to get married soon. The actress said that she wants to save money for their nikaah. "It will be a combined effort and we want to save enough for the nikaah. I want it to be a destination wedding and it has turned out to be his hometown Bhopal," Dipika told Bombay Times. As for now, Dipika has one demand - that the next step should be a "proposal for marriage." Are you listening, Shoaib? Dipika Kakar, 29, is the star of shows like Neer Bhare Tere Naina Devi and Agle Janam Mohe Bitiya Hi Kijo. She also participated in the eighth season of the dance based reality show Jhalak Dikhhla Jaa. Shoaib Ibrahim, 29, has starred in shows like Rehna Hai Teri Palkon Ki Chhaon Mein and Rishton Ke Bhanwar Mein Uljhi Niyati. Bigg Boss 12 Winner: 5 Times Dipika Kakar Proved Her Love For Food And Cooking!